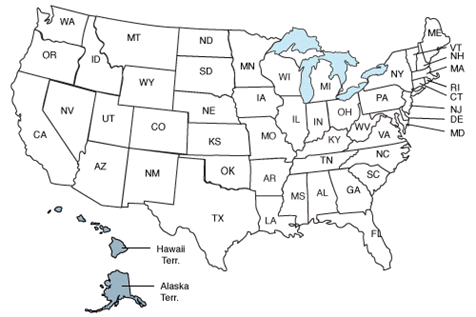 48 states participated in the 1940 census, including the territories of Alaska, Hawaii, American Samoa, the Panama Canal Zone, Guam, Puerto Rico and Virgin Islands. 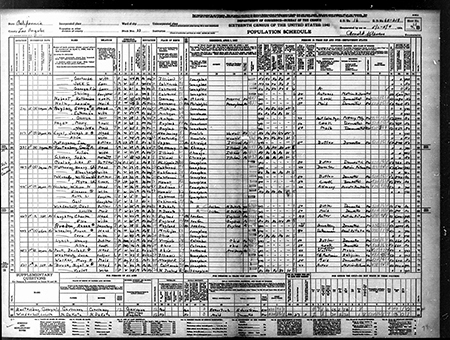 It took approximately $67,527,000 and 123,069 enumerators to complete the 1940 census, resulting in 58,400 total pages in published reports. The U.S. population increased by 7.3 percent from the 1930 census to the 1940 census. 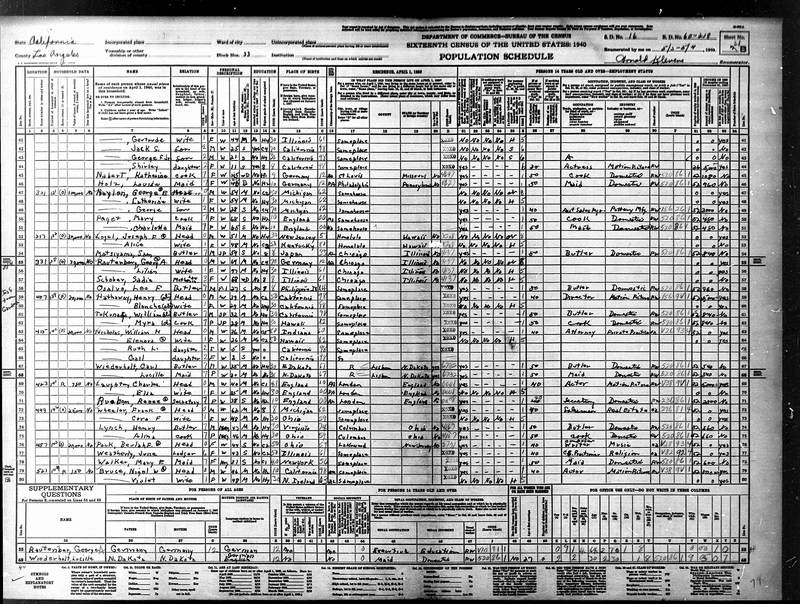 What was lost from the 1940 U.S. Census? No major loss of records in the 1940 U.S. census. The beloved American film star Shirley Temple stole hearts as a child actor from the age of three years old. Born in 1928 in Santa Monica, California, Temple performed as a talented dancer and singer in both film and television roles. One of the youngest superstars ever, Temple made 11 films in 1933, all of which provided hope and entertainment during the challenging years of the Great Depression. By age 12, Shirley Temple had difficulty finding new film roles and left the movie industry. She was briefly married to John Agar in 1945, before she found lasting happiness with Charles Black in 1950. In later adulthood, Temple entered the arena of politics and served as a diplomat and ambassador from the 1960s through the 1990s. Shirley Temple in the 1930 census living with her family at the age of 12. December 7, 1941: Japanese warplanes attack Pearl Harbor, marking the entrance of the United States into World War II. February 19, 1942: President Roosevelt issues an executive order for the interment of all American residents with Japanese ancestry. Department stores start selling Tupperware in 1943. March 5, 1946: Winston Churchill delivers his “Iron Curtain” speech at Westminster College in Fulton, Missouri.